You can find Deborah here and here on Ravelry. I find inspiration in my sleep, mostly. And when I look outside. I see colors and relate them to shapes in my head. It is an unconscious process, and I can't "force" an idea. If I sit down and intend to design, for example, a dog hat, I am lost. But if I dream a shape and or color, I will quickly get up and chart it. I don't know if that makes sense, totally, but I find words missing to explain it any other way. It just happens, or it doesn't. 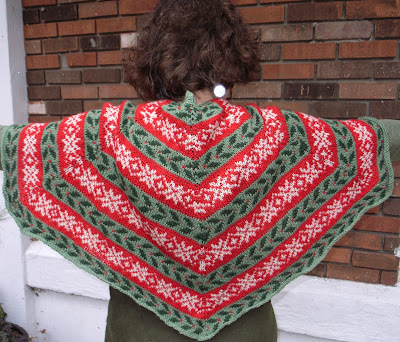 It's no mystery that I am profoundly addicted to colorwork, and more specifically, to stranded colorwork. I do enjoy slip-stitch colorwork and intarsia, but I get a complete and total "fix" when stranding. And I knit about 10-12 hours every day. I rarely look at others' work. I'm not afraid of being influenced by them. I just forget to look. I am familiar with the work of other colorwork designers and, if not for people like Alice Starmore, I wouldn't know stranded knitting at all. So, I appreciate the designs of other artists, but I don't keep up all that well. I am unaware of a controversy. As I wrote above, I don't keep up all that well. When I write and chart my designs, my goal is to make them accurate and user-friendly. I don't think things have to be complicated to be good. Is that what you mean? Editors note: for more on this topic please read this and this. For the most part, I do everything myself. I have had people test-knit, and I appreciate when they do, but I find that for the most part, I can finish a project in a more appropriate time-span myself. So, I just do it. 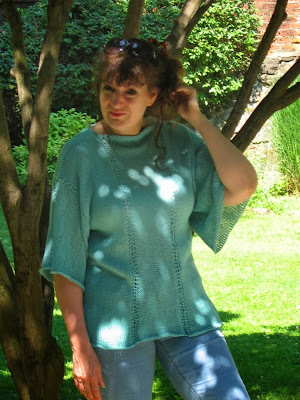 Having said that, I design KAL patterns each month for any in my Ravelry group who want to work along, and several new designs have been test-knitted via the KAL route. Pffft. No. I have only been stranding for about 4 years, and I have been designing colorwork patterns for only 2 years. Pffft. No. Sure would like one! Wow. I am a mess. No! It is what it is. If it weren't for Ravelry, I would not have a business. 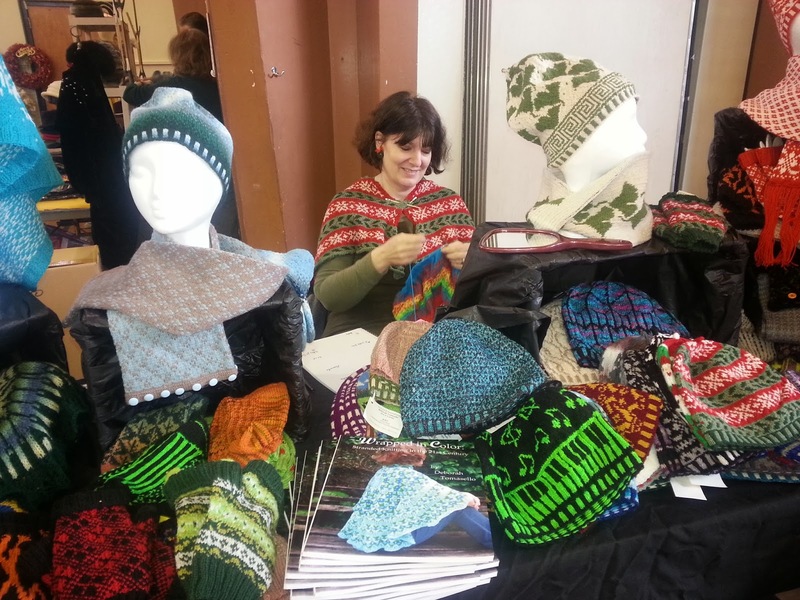 Ravelry has been a wonderful medium to express my ideas, gain popularity and meet like-minded people from all over the globe. I do have a website, and I use FaceBook, but Ravelry has been the best help to me. I am very fortunate to have a few tech editors as personal friends with whom I regularly meet, gab, have coffee and knit. So, yeah, I have all kinds of help!!! This one is easy. I have achieved a very happy and perfect balance. I am consumed by knitting 24 hours a day. I do not vacuum. I do not cook much. 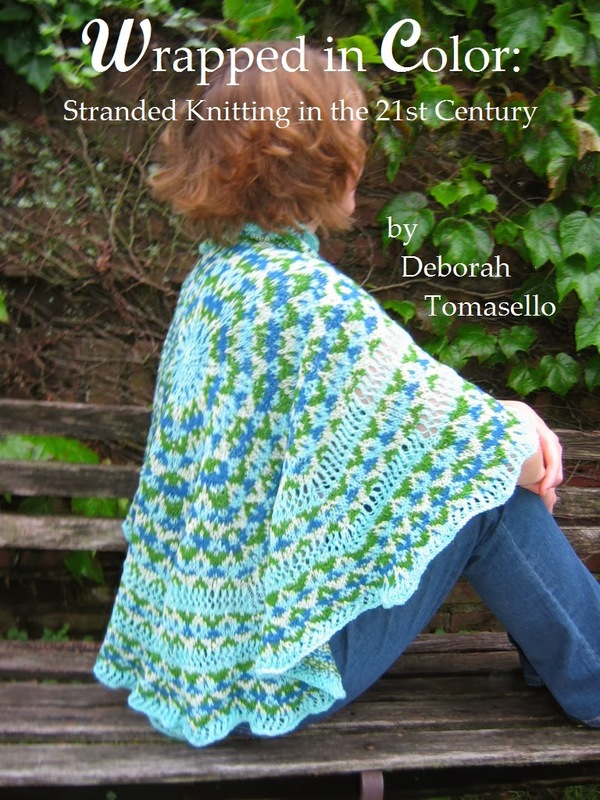 I am fully immersed in all things knitting nearly every waking moment. Perfect balance, I think. Don't you? I welcome it if it is not mean-spirited. I am always open to a useful critique. I have learned so much, and the more I learn, the more I realize I can't live long enough to learn all I want to know. There is an assumption here that I can support myself with my work. I cannot--yet. I make about 20 cents an hour at this point. But this isn't about money for me. I am so lucky to be able to get up each day and do what I love just because I love it. My husband is completely supportive. I know how lucky I am in this regard, and I do not take for granted, even for a second, my fortunate life circumstances. This is not to say I don't want to be self-supporting. I think that if my designs ever become popular enough, and my teaching skills become sought after enough to yield financial security, it would reflect a level of success I do not now own. Go for it! If you LOVE it, and if you have no financial goal in mind, then just do it. Ravelry and like sites are two-edged swords, though. While they allow a designer to gain recognition, they allow everyone the same opportunity. So, there are lots of us out there. I personally feel there is room for all of us. We each bring something unique to the table. Know this. It's a lot of work. If you see the work as something you'd be doing anyway, go for it! If I can help, please let me know. Deborah at one of her shows, knitting, of course!